We participate in affiliate programs, where we are compensated for items purchased through links from our site (at no cost to the buyer). See our disclosure page for our list of comped products and affiliate programs. Snoreeze is a company which sells snoring products. One of their products is the Snoreeze Self-Fit Oral Device (mouthpiece) which can be worn at night to reduce or eliminiate snoring. Snoreeze's mouthpiece is a Mandibular Advancement Device (MAD) which means that it works by moving the lower jaw forward by using the teeth. Moving the jaw forward prevents the vibration which causes snoring. The main cause of snoring is relaxed muscle tension in the back of the throat. This can lead to a narrowing of the airways and the vibrations of relaxed muscle tissue. Snoreeze addresses the problem of a narrowing airway. Read more on the casues of snoring here. 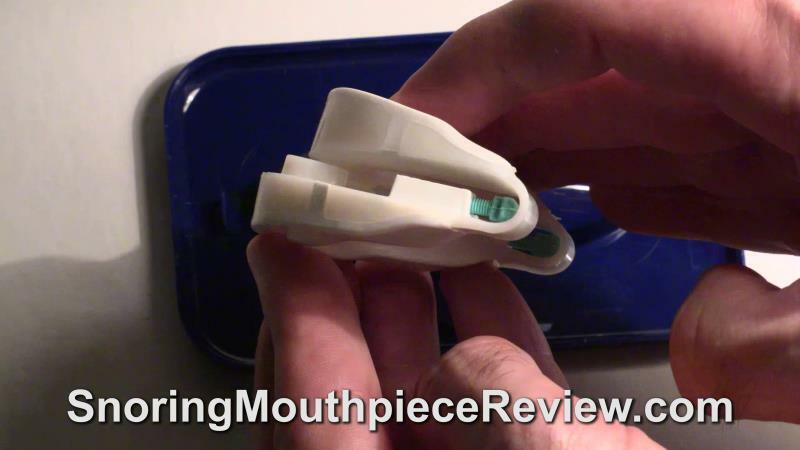 How does the Snoreeze Oral Device work? The Snoreeze Oral Device is an adjustable, "boil-and-bite" mouthpiece that gently holds your jaw in the correct position or moves it forward slightly while you sleep. This helps to increase your airway opening, improving the airflow into your lungs and allowing for quiet breathing while you sleep. The soft inner layer molds to your teeth for a secure, comfortable fit. The durable outer layer protects against wear and tear, helping your Oral Device to last for up to 180 nights (6 months). The easy-to-adjust screws allow you to move the bottom tray of the Oral Device a little at a time, helping you to find the perfect setting to treat your snoring or sleep apnea. The top and bottom trays are not joined together, allowing full mouth movement. So, you can sleep with your mouth open without the Oral Device falling out. Does Snoreeze protect against teeth grinding? No. Snoreeze oral devices are not for the treatment of teeth grinding or bruxism but, they do prevent the contact surfaces of the teeth making contact with each other, and may help reduce the effects of teeth grinding or bruxism. The Snoreeze oral devices’ dual-layer design means that soft, moldable plastic surrounds your teeth, ensuring that it is comfortable to wear. But the outer layer of plastic is more robust and hard-wearing, helping to protect the device from wear and tear. If you grind your teeth when you sleep, you may find that your oral device needs replacing more often than the recommended 6 months. No, Snoreeze is not recommended for anyone under the age of 18. A child's teeth and jaw still developing. If your child snores or you believe they may be suffering from sleep apnea, we would advise you to speak to their doctor. Can Snoreeze be used if I have missing teeth? This depends on how many missing teeth you have, and which ones they are. A few missing molars at the back of your mouth should be okay, but if you have several front teeth missing you may have problems using an oral device. If you are unsure about whether a Snoreeze oral device is suitable for you, please consult your dentist. Can I use Snoreeze if I have crowns on my teeth? No. If you have crowns, Snoreez does not recommend wearing an oral device without first consulting your dentist. This is especially true if you have crowns on your front teeth, as these are the teeth that have the most pressure placed on them. Please consult your dentist or orthodontist if you are unsure whether a Snoreeze oral device is suitable for you. Does Snoreeze treat sleep apnea? Oral devices are sometimes known as Mandibular Advancement Devices (MADs). There is substantial evidence showing that these devices are very successful at treating mild to moderate sleep apnea. You should talk with your doctor to see if the Soreeze oral device would be suitable to treat your particular sleep apnea problem. Can Snoreeze be used if I wear dentures? Yes, if your dentures are kept in the mouth while sleeping. No, if you have full dentures and these are removed while sleeping. If you wear partial dentures and they are removed at night then you would need the majority of your front teeth and several of your rear teeth to be able to use the Snoreeze oral device. Please consult your dentist or orthodontist if you are unsure about whether a Snoreeze oral device is suitable for you. Can I use Snoreeze if I have asthma? No, it is not advised to use Snoreeze if you suffer from a serious respiratory condition such as asthma or emphysema. Can I use Snoreeze if I have a blocked nose or nasal congestion? 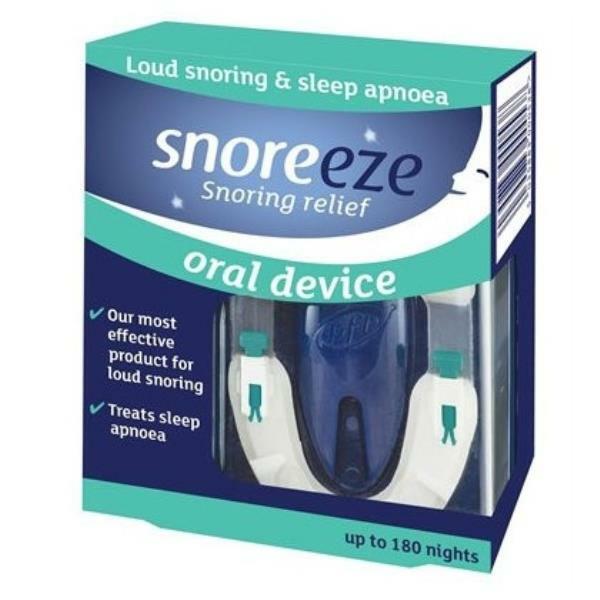 Yes, you can use a Snoreeze oral device if you have a blocked nose or nasal congestion, as you can still sleep with your mouth open and breathe through your mouth when wearing the mouthpiece. If you are struggling to breathe through your nose because of nasal congestion, then you could try our Snoreeze Nasal Strips or Snoreeze Nasal Spray to help you breathe more easily through your nose. Can I wear Snoreeze instead of my CPAP? No. CPAP is generally used for severe sleep apnea and a mouthpiece may not help with severe sleep apnea. Oral devices have been shown to be an effective treatment for mild to moderate sleep apnea. If you have been prescribed CPAP treatment by your doctor, Snoreeze does not advise stopping treatment without first discussing things with them. If you feel you have sleep apnea, you should speak to a doctor and ask if they think a Snoreeze oral device would be suitable for you. My teeth hurt when I take my Snoreeze out in the morning, is this normal? When you first start to use an oral device, you might find that your teeth feel tender or sensitive. This is completely normal. If you bite down hard on your oral device while you sleep, or grind your teeth at night, you may experience some tooth discomfort in the morning. In most cases, this tooth discomfort will be temporary and should be reduced within an hour or two of waking and taking the oral device out of your mouth. Persevering with the use of your device should reduce any tooth discomfort, as over a few days or weeks your body should get used to you wearing the mouthpiece. If your tooth discomfort persists for longer than 2 weeks, or doesn’t go away a few hours after removing the oral device from your mouth, Snoreeze recommends discontinuing use. My jaw hurts when I take out my Snoreeze in the morning, is this normal? The first few times you use an oral device, your jaw might feel a little sore in the morning. This is fairly common as your jaw is being held in the correct position overnight. You may also experience slight jaw discomfort if you adjust your oral device into a more forward position. In most cases, this jaw discomfort is temporary and should be reduced within an hour or two of removing the oral device. Persevering with the use of your oral device should reduce any jaw discomfort, as over a few days or weeks your body should get used to you wearing the mouthpiece. If your jaw discomfort persists for longer than 2 weeks, or doesn’t go away a few hours after removing the oral device from your mouth, Snoreeze recommends discontinuing use. What comes in the Snoreeze box? What are the features of Snoreeze? Does Snoreeze contain latex or BPA? No. Snoreeze is latex and BPA free. How much can Snoreeze be adjusted? The screws which turn on the inside of the mouthpiece are 10 mm long therefore, you can adjust Snoreeze from 0 - 10 mm. How wide is the Snoreeze airway opening? When closed, Snoreeze has an airway opening of 3 mm. This is enough to breathe through your mouth while you sleep. How long will Snoreeze last? How long your Snoreeze Oral Device will last will vary depending on several factors such as how often you use the device and how frequently or thoroughly you clean it. If you suffer from bruxism (teeth grinding), the Oral Device should help with this, but may wear out more quickly. Typically, if a Snoreeze Oral Device is cleaned and looked after well, it can last up to 6 months, maybe even longer. Are there different versions of Snoreeze? 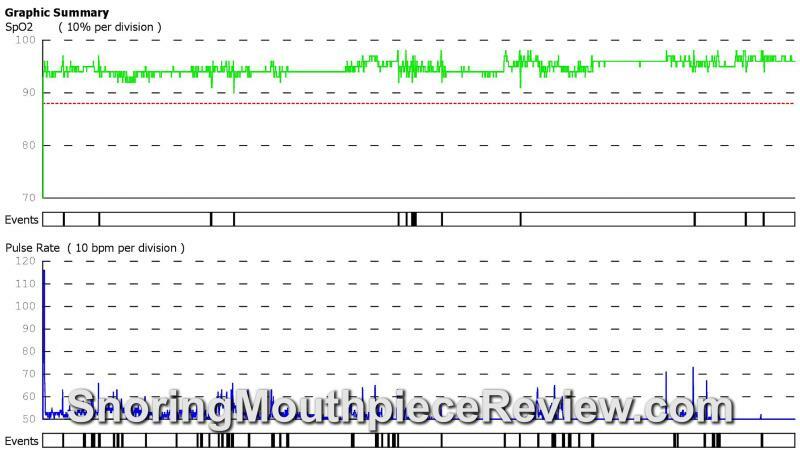 Prior to August 2016, there was a different version of the Snoreeze Self-Fit Oral Device. There is also a Snoreeze LabFit Oral Device which is custom made. If you had previously bought a Snoreeze Oral Device before August 2016, you will have noticed that the design has now changed. Over the past few years Snoreeze's team has been working to develop the best Oral Device possible; learning from customer feedback and scientific research. The new Snoreeze Oral Device works on the same principle as the old one, but with improved comfort, usability, and functionality. 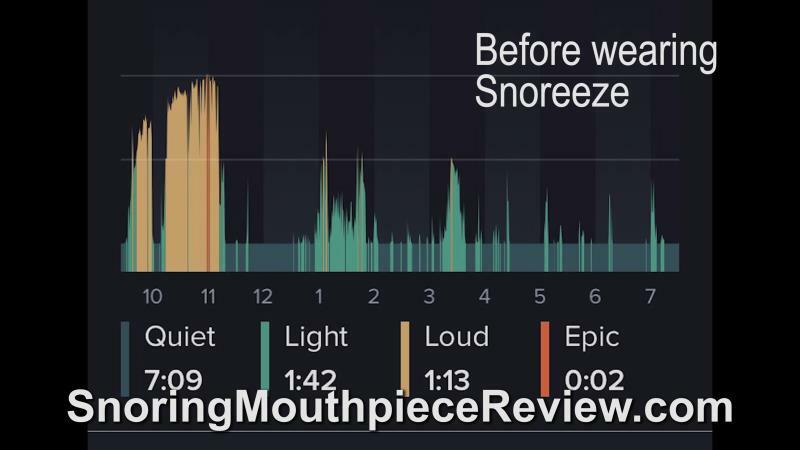 Will Snoreeze's oral device stop my snoring? If adjusted properly, Snoreeze may stop your snoring. 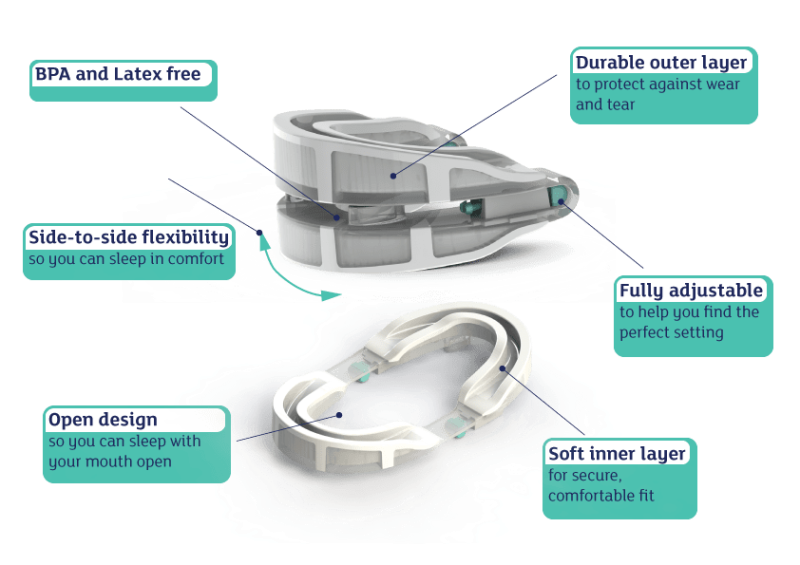 The Snoreeze Oral Device is designed to reduce or stop even the loudest snoring gently holding your jaw in the right position, keeping your airway open and stopping it from collapsing. This reduces the vibrations that make the snoring noise and helps you to breathe easily and quietly during sleep. What if snoreeze doesn't stop my snoring the first night? Many people find that wearing an oral device is enough to prevent their snoring. However, the fitting of an oral device is different for everyone. If, after using your Snoreeze Oral Device for 2-3 nights, you continue to snore, you should adjust the screws on the device. These screws are turned clockwise to adjust the oral device equally on both sides. This positions the lower jaw in a slightly forward position, aiming to open your airway and help you breathe easily and quietly. Yes, the Snoreeze Oral Device is adjustable. Some other mouthpieces are fixed, while others are adjustable by 4 or 5 settings. This means that if none of these few positions are right for you, the mouthpiece will not be comfortable. The Snoreeze Oral Device allows you to adjust it by hand a little at a time, so that you can find the perfect position for you. Can I breathe through my mouth and nose while wearing Snoreeze? Yes, you can sleep as you normally would do, breathing through your mouth or nose. 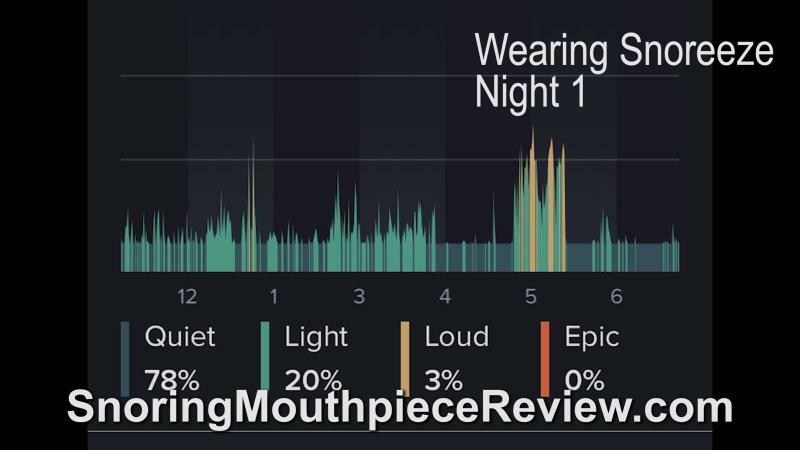 Unlike many other snoring and sleep apnea mouthpieces that only contain a small air hole to breathe through, both Snoreeze oral devices allow full mouth movement, so you can open your mouth and breathe freely. Can I sleep with my mouth open while wearing Snoreeze? Yes, unlike many other snoring and sleep apnea mouthpieces that have the top and bottom trays attached together, both Snoreeze oral devices allow full mouth movement, so you can sleep with your mouth open. Will Snoreeze fall out of my mouth during the night? No, it shouldn’t do. The dual-layer design of the Snoreeze Self-Fit oral device means that the soft, moldable layer of white plastic molds snugly to your teeth. This provides a secure, yet comfortable fit and ensures that the oral device should stay in your mouth all night. The LabFit provides a custom fit that is tailored to your mouth, offering excellent retention. I keep taking my Snoreeze out while I'm asleep, what should I do? You might find that you manually remove your oral device from your mouth during the night a few times in the first few weeks of using it. This is because you are not used to sleeping with something in your mouth, so your natural instinct will be to take it out when you are half asleep! This should stop happening after the first week or two, so you should persist with wearing your oral device. Is Snoreeze comfortable to wear? At first, Snoreeze may be somewhat uncomfortable to wear but you should get used to wearing it in the first week. If there is excess material from the fitting process that spills out of the tray, you can cut it away. This can help make it more comfortable to wear. Unlike many boil-and-bite mouthpieces, the Snoreeze Oral Device has an inner layer of soft, mouldable plastic. This plastic is comfortable while providing a snug fit, so the Oral Device stays in place all night, reducing the risk of rubbing and chafing. 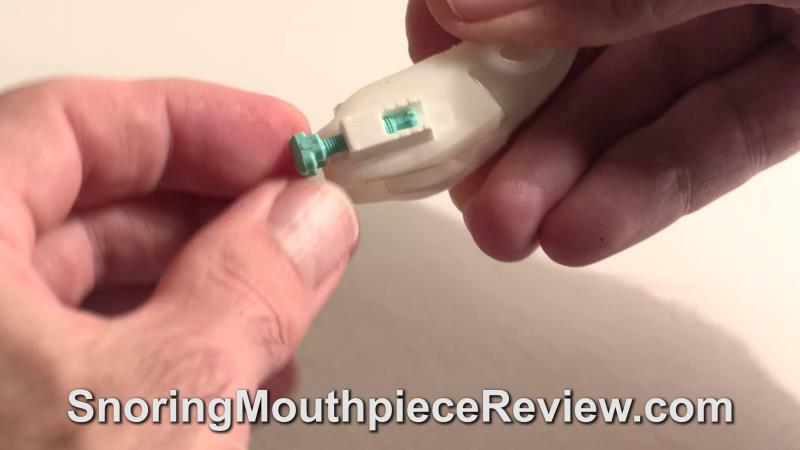 You may feel some minor discomfort when first using a mouthpiece like the Snoreeze Oral Device. This is because your body will take time to adjust to wearing the Oral Device. This discomfort should reduce over the first week or so of using your Oral Device. How long will it take me to get used to wearing Snoreeze? Usually, in the first week. If you have never used an oral device before, or haven’t used one for a while, it can take some time for your body and mind to adapt. This is because you are not used to sleeping with something in your mouth. After using your oral device for the first week or so, you will begin to get used to it. After a few months of using an oral device, you will probably find it strange to try and sleep without it! 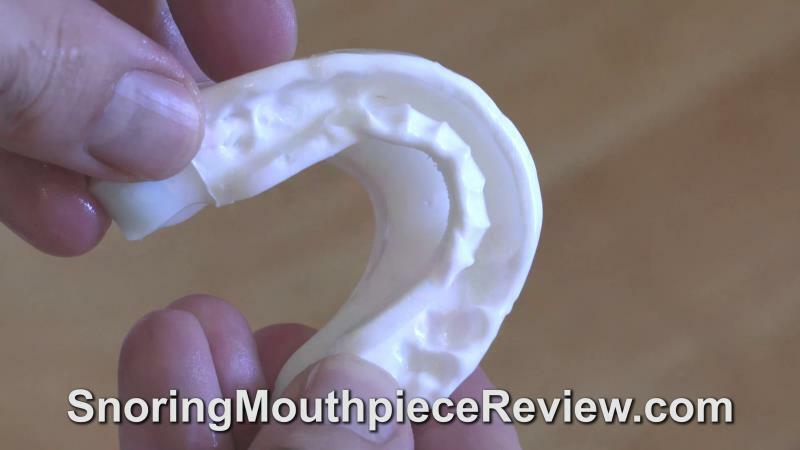 How does Snoreeze compare to other mouthpieces for snoring? Snoreeze uses a hinged design, similar to ZQuiet. Unlike ZQuiet however, Snoreeze uses an impression of the teeth for improved fit. Snoreeze has the ability to be adjusted incrementally, similar to VitalSleep, except that Snroeeze doesn't require adjustment tools to make jaw advancement. 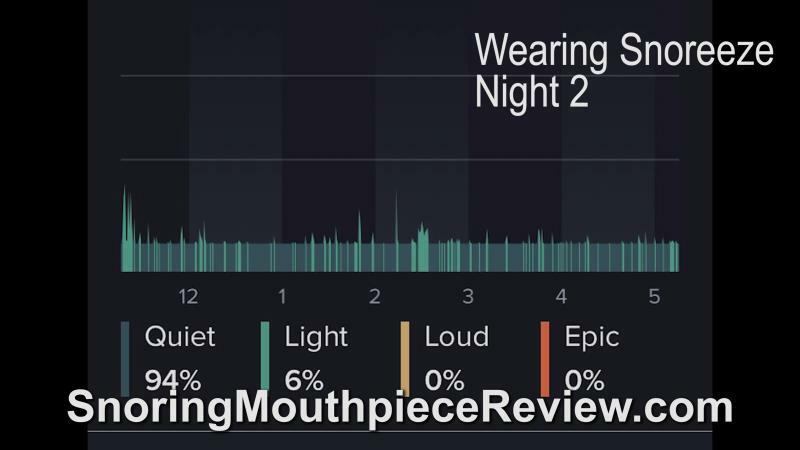 A patient recorded snoring while they slept before wearing Snoreeze. They then wore Snoreeze for 4 nights. The first night, the noticed snoring while they slept. After the first night, they adjusted the screws on the device to further open their airway and saw a consistent reduction in snoring for 3 nights. The patient mentioned that they had soreness on their lower front teeth while wearing the mouthpiece each morning. They mentioned that this soreness went away after removing the mouthpiece. They also mentioned that it was difficult to swallow while wearing the mouthpiece and that they had to cut away some white plastic from its edges after fitting. How do I mold the Snoreeze device? The Snoreeze Oral Device is a boil-and-bite mouthpiece that can be moulded at home in under 5 minutes. The Oral Device has been designed to be as user-friendly as possible, and the box contains a detailed instruction leaflet with pictures to illustrate each stage of the moulding process. 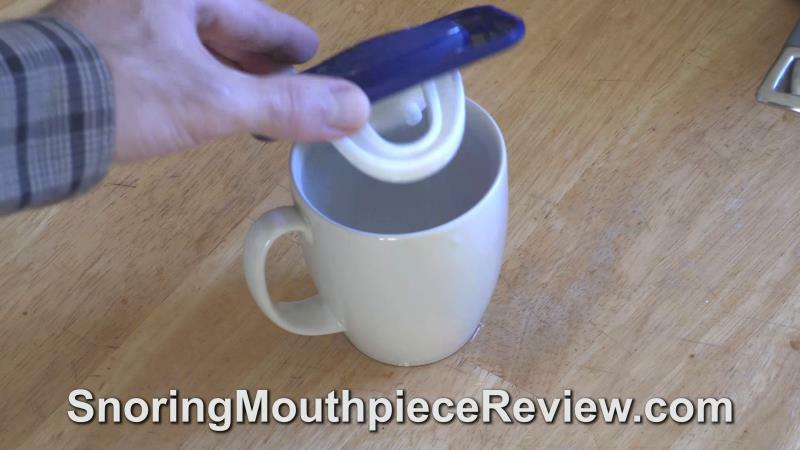 Place the blue part of the case on the top of the mug so that the Oral Device hangs down into the water. 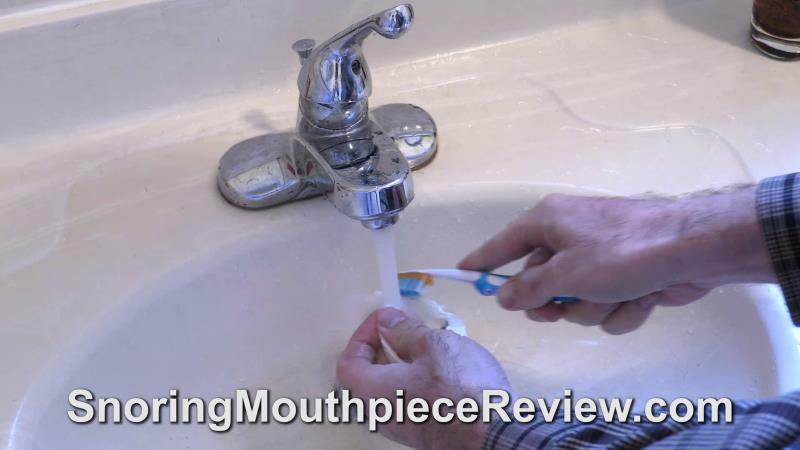 Keep the mouthpiece submerged for 15 seconds. Some white plastic may spill out of the tray. You can trim this away after fitting. 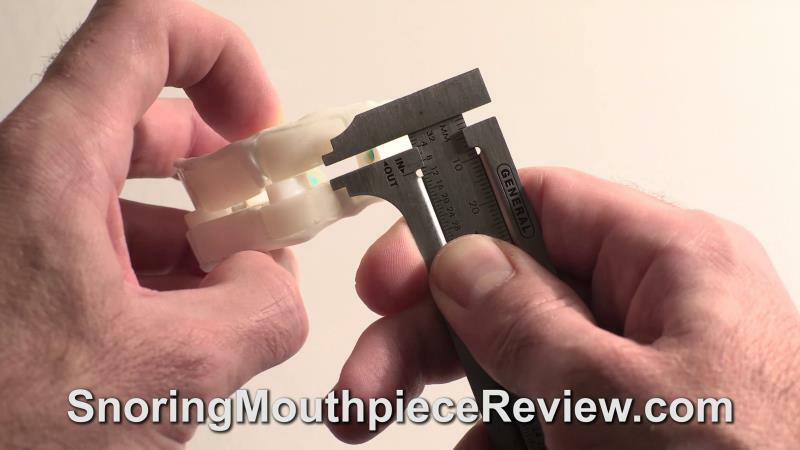 Wear the mouthpiece in this position, with the screws turned in, for the first few nights. If snoring is not reduced, then turn the adjustment screws to advance the lower jaw. How do I adjust the Snoreeze mouthpiece? What If I fit Snoreeze incorrectly or it becomes loose over time? 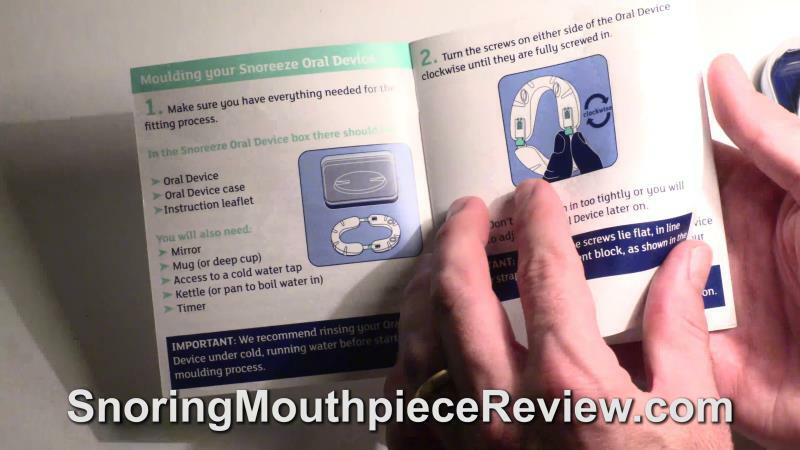 If you do not mold your Snoreeze Oral Device correctly, or it becomes loose fitting over time, it is possible to re-mold the device around 3-4 times. After this many re-fittings, you should consider purchasing a new one. The Snoreeze Oral Device is adjusted by hand using the screws on each side of the bottom tray. What if I adjust the Snoreeze too far fowards? You can adjust the the Oral Device backwards if you advance it too far forwards. How much does Snoreeze cost? Snoreeze 1-pack costs £29.99 or about $40.00 USD. Snoreeze 2-pack costs £50.00 or about $70.00 USD. Note: shipping in the UK is free but outside the UK costs vary. What payment options does Snoreeze accept? Can I buy Snoreeze if I am not based in the UK? Yes. You can order the Snoreeze Oral Device to most countries across the world. How long will it take my Snoreeze to arrive? If you placed your order before 3:00 PM GMT, it should be dispatched the same day from the Snoreeze UK office. Depending on where you are in the world, it could be with you the very next day! Does Snoreeze come with a money back guarantee? Yes, Snoreeze offers a 30-day money back guarentee. Snoreeze is the flagship brand for Passion For Life Healthcare. In 1998, they launched Snoreeze Throat Spray, and Snoreeze has since grown to be a major European snoring and sleep apnea company. How do I clean my Snoreeze mouthpiece? It is recommended that you clean your Snoreeze Oral Device after each use, with cool water and a soft toothbrush. You may also use cleaning products specially designed for dentures from time to time (e.g. weekly) in order to remove staining and bacteria. To help keep your Oral Device clean, you can store it in the provided protective case. 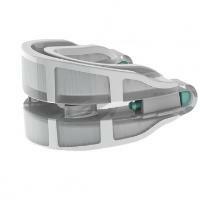 Snoreeze is an adjustable snoring mouthpiece, using boil and bite fitting and adjustment screws. Adjustments can be made incrementally using the screws on the inside of the mouthpiece. 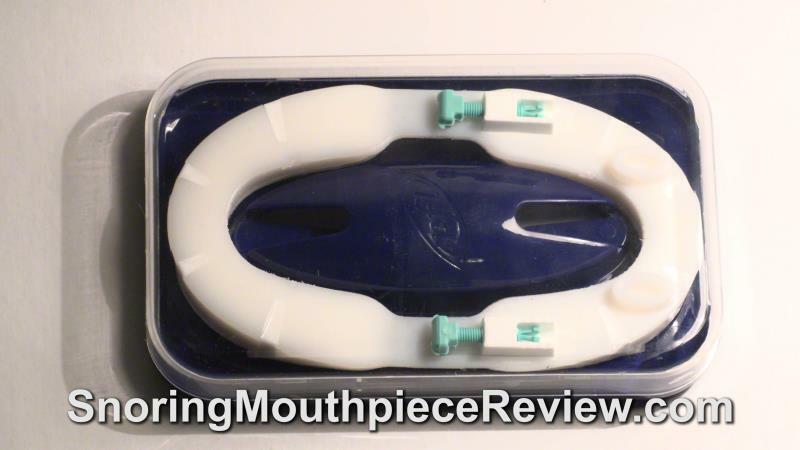 Snoreeze is not FDA cleared, unlike most major mouthpieces for snoring and sleep apnea in the United States. Some tooth or jaw discomfort may occur while wearing Snoreeze during the first week of wearing it as you get used to the way it feels. Snoreeze can reduce your snoring when fit and advanced properly.